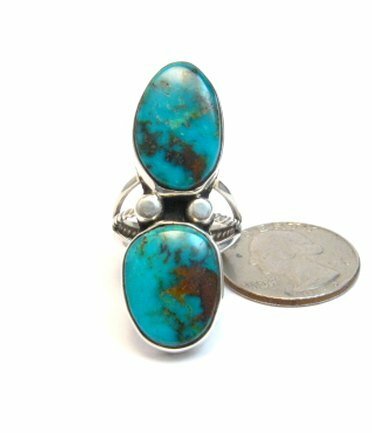 Sturdy Native American double Kingman turquoise sterling silver ring, created by Orville Tsinnie & Co. Natural turquoise stones. Size 8. Item#7041. 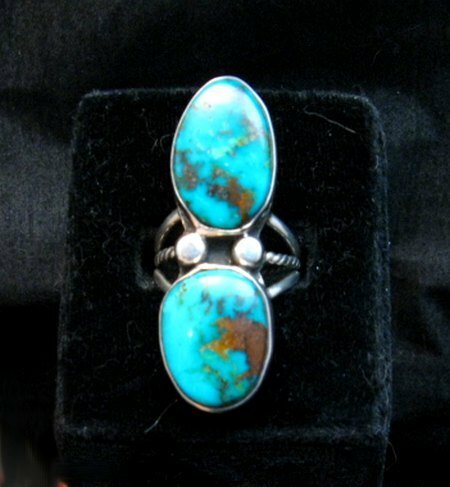 This stylish contemporary sterling silver double turquoise ring was designed by Navajo artist, Orville Tsinnie but was created after his death by his family. Orville's family is continuing his legacy using his designs. 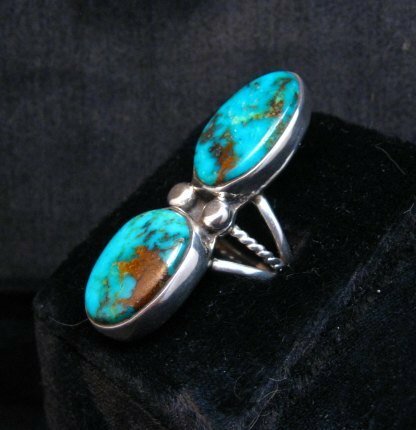 His son-in-law Marvin Redhouse does most of the silverwork. He apprenticed under Orville. 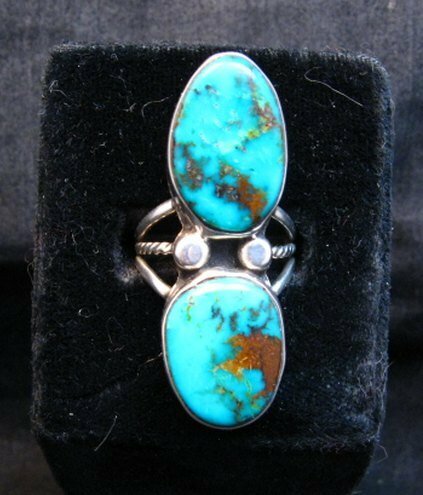 The ring is set with two gorgeous natural Kingman turquoise stones, from Orville Tsinnie's stash of quality turquoise stones. The face of the ring measures 1-3/4 inches long. Size 8. Weighs 13.2 grams. Brand new and in perfect condition. Gift Box and Certificate of Authenticity included. 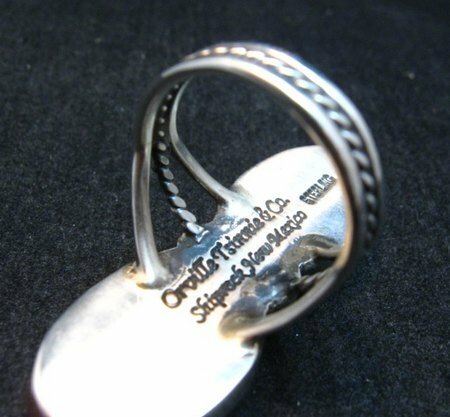 All jewelry made after Orville's death is hallmarked Orville Tsinnie & Co. Shiprock, NM, as shown.